Law and accounting firms in Virginia have marked some major milestones since the beginning of last year. Hunton & Williams LLP is merging with Houston-based Andrews Kurth Kenyon LLP to create a combined law firm with 1,000 lawyers. When the merger is completed on April 2, the firm will be called Hunton Andrews Kurth LLP. The deal will make Hunton Andrews Kurth one of the 50 largest law firms in the U.S. in terms of headcount and revenue. The firm will have 15 domestic and five international locations. 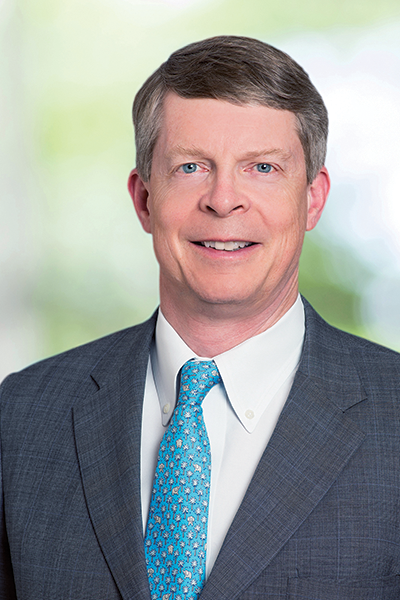 George C. Howell III, the Richmond-based chairman of the Hunton & Williams Executive Committee since last April, will become chairman of the combined firm’s executive committee. It will include five legacy Andrews Kurth Kenyon partners and nine legacy Hunton & Williams partners. Wally Martinez, the New York-based managing partner of Hunton & Williams, will serve as managing partner of the combined firm. Hunton & Williams was founded in Richmond in 1901. Andrews Kurth Kenyon began in 1902. Last year, the Richmond-based law firm Sands Anderson celebrated its 175th anniversary and named Margaret Hardy its president. She is the first female to head the firm. Hardy is leader of the firm’s Healthcare Group and a member of its Government, Business and Professional Litigation groups. She also is managing shareholder of the firm’s Fredericksburg office. In addition to Richmond and Fredericksburg, Sands Anderson has offices in Christiansburg, McLean and Williamsburg and Raleigh, N.C. The firm has 59 attorneys in Virginia. The Richmond-based public accounting and consulting firm Cherry Bekaert also named a woman as its leader last year, which was its 70th anniversary. In October, Michelle L. Thompson, CPA, was elected the firm’s first female managing partner and CEO. She will assume her new role on May 1. Thompson has been the Raleigh, N.C.-based managing partner of the firm’s assurance services practice. She will continue to work from Raleigh as CEO. Founded in 1947, Cherry Bekaert is one the nation’s largest accounting firms, employing 1,100 professionals.